With a stay at SureStay Plus by Best Western Thornton Denver North, you'll be centrally located in Thornton, within a 15-minute drive of Coors Field and Sports Authority Field at Mile High. 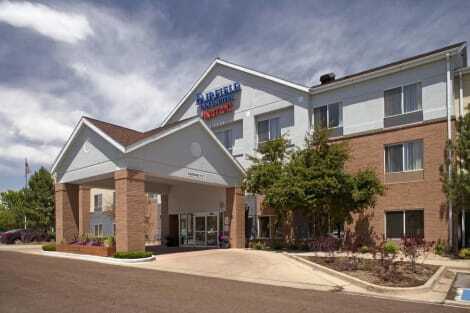 This motel is 12.1 mi (19.5 km) from Union Station and 12.3 mi (19.7 km) from 16th Street Mall. Don't miss out on the many recreational opportunities, including an indoor pool, a spa tub, and a 24-hour fitness center. This hotel also features complimentary wireless Internet access, a fireplace in the lobby, and a vending machine. lastminute.com has a fantastic range of hotels in Thornton, with everything from cheap hotels to luxurious five star accommodation available. We like to live up to our last minute name so remember you can book any one of our excellent Thornton hotels up until midnight and stay the same night.